This is a common question my clients and readers ask. Here, I review this question for you in detail. Once you have finished reading this page, you will be thoroughly equipped make your own best choice. 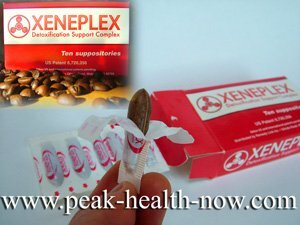 Xeneplex or Coffee Enema: How are They Similar? Both support and stimulate the very same detoxification pathways - bile flow and the glutathione s-transferase free-radical fighting enzyme system for a very effective liver/gallbladder cleanse. Both Xeneplex and coffee enemas help the body get rid of all manner of exogenous toxins (coming from outside the body), such as chemicals, pesticides, drugs of all kinds and heavy metals among many others. They also aid in cleansing the body of endogenous toxins (by-products of the body's normal biochemical processes), such as ammonia. Note: Because compounds in the coffee stimulate better functioning of the body's glutathione s-transferase enzyme system, coffee alone as an enema WILL confer the above benefits. The primary benefit of using Xeneplex vs. Coffee Enema is convenience. It takes only a minute to insert a suppository and lie down. Xeneplex is made by a company with outstanding quality control, and is an excellent formula. In addition to 200 mg of organic coffee extract, these coffee extract suppositories contain some wonderful ingredients not found in your classic coffee enema recipe. Xeneplex has 50 mg of Magnesium Di-Potassium EDTA helps to increase the circulation, increase nitric oxide production and balance the autonomic nervous system, and 200 mg of glutathione. A number of years ago when I still had a heavy burden of mercury in my body, I had to do coffee enemas every day or I would get a bad headache. I traveled with a colleague for a few days to do a presentation in another state. I wasn't going to do coffee enemas while staying at the hotel with someone I didn't know that well, so I took along some Xeneplex suppositories and used one each night. 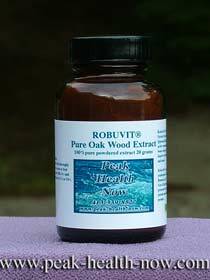 NO headache, I felt great and my thinking was crystal clear. My experience affirms that Xeneplex supports the same detoxification pathway as coffee enema. coffee enema is one of the most profound and magical detox experiences I (and my clients who love them) have EVER had! VERY IMPORTANT: Be sure only to get an absolutely top-notch professional brand used by holistic MD's - and not even all of those are ones that I would recommend). 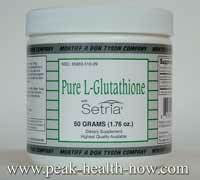 I can assure you that if you don't, you will be cheated big time - glutathione is one of the supplements most diluted and adulterated in the industry. This is due to its popularity, the high price that can be asked for it, and the expense of making it. Coffee Enema: Why is it Such a Profound Experience? The first and most obvious difference is the method of delivery: one, a small suppository, the other a volume of water. The vast majority of people who do coffee enema cleanse the lower end of the colon with warm water beforehand to make it easier to retain the coffee for the 15 minutes it takes to have an optimal effect. Clearly, this is a far different experience than just inserting a suppository! Coffee enema deeply stimulates the enteric nervous system. The enteric nervous system is located in the abdominal area of our bodies. It works independently from the brain - its feedback loop is directly between the abdominal organs and spinal cord. The enteric nervous system is also called the 'second brain' because it rules our emotional intelligence. What we call 'gut feelings' originate not in the brain, but in the gut. All of my clients report that the coffee enema has a more profoundly relaxing and rejuvenating effect than using the suppositories. The more pronounced feeling of doing a coffee enema is partly due to the stimulation of the enteric (gut) nervous system by the volume of water and resulting peristalsis. As well, the fluid used in coffee enema (as well as some of the compounds in coffee) cleanses the lower bowel, which lightens the toxic burden and has a refreshing effect. Coffee enema is the time-tested treatment of choice of the Gerson Cancer Clinics, New York City cancer doctor Nicholas Gonzalez, MD, and a vital part of the natural cancer protocol developed by the late Dr. Donald Kelley. It is one of the first measures taken with terminal cancer patients who come in to these programs. Severe liver toxicity is ubiquitous in people with cancer, and coffee enema has been used extensively to lift the staggering burden of toxicity. In addition, cancers themselves contain extremely toxic compounds. 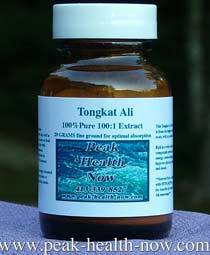 As they are dissolved in either conventional or holistic treatment, the toxic material floods the body and can kill the patient. Coffee enemas were the solution to this problem. Dr. Gerson found that terminal cancer patients in his treatment program generally needed a coffee enema 4 - 6 times per day! In order to keep from losing a patient overnight, they were woken up to take a coffee enema in the middle of the night! When it comes to serious detoxification, coffee enema has a reputation second to none. Xeneplex is extraordinarily convenient. Just 30 seconds to insert a suppository, then lie down for a night's sleep or a long nap. Wake refreshed, with a clear mind and more energy. I have even known people to use Xeneplex during a 'power nap' at work during lunchtime and wake up clear-headed and full of renewed energy! I am writing you about the Xeneplex suppository. I am impressed. It does seem to be just as good as a coffee enema. I was afraid that it might not work as well. 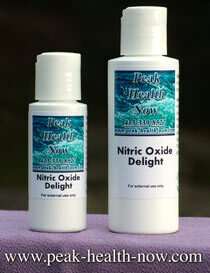 It also gives me a real lift and enhances my concentration. It is so much more convenient than the enema. I can use it when I travel. Great stuff! My coaching clients, customers and readers tell me that during Xeneplex or coffee enema, they end up dropping into a deeply tranquil 'twilight state.' similar to what you might experience while having a really great massage.